There are lots of places where you can prepare your income taxes. Why should you do them with us? Our clients come back year of year because we prepare tax returns correctly, quickly, and professionally. 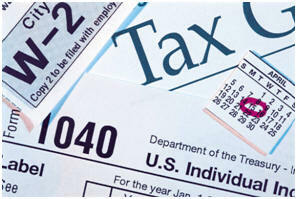 We are an IRS-authorized E-File provider. We will file your return electronically at no additional charge. Our prices are sometimes as little as a third as that of the competition. We are here all year around. If you get an IRS or DOR letter, we will be here to help. We take pride in getting you the maximum refund to which you are legally entitled. We are able to file returns for states other than Massachusetts. We have extensive experience preparing taxes for individuals, small businesses, rental real estate, investments, students, and applying for ITINs.